I'm talking new dimensions today. New Dimensons by Estée Lauder. One of my favorite skin care brands has launched an entire new chapter in high end anti-ageing. And I agree, I might be your ultimate sucker for all kind of newbies joining me in the battle against aging skin. But when one turns out to be simply far better than the abundance of new products coming out every other month, I have to offer it a proper spotlight over here. 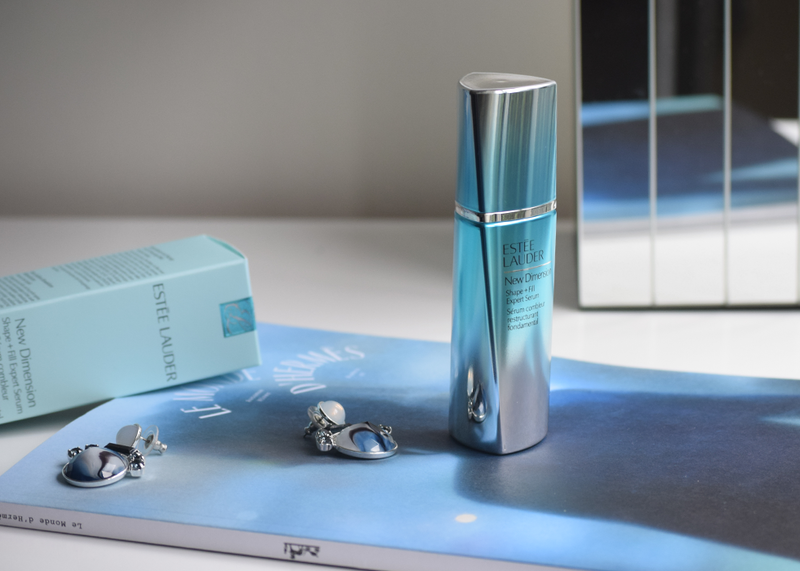 I've been testing and trying the innovative Estée Lauder New Dimension Shape + Fill Expert Serum for three weeks now and I might already recommend it as your newest lifesaver. 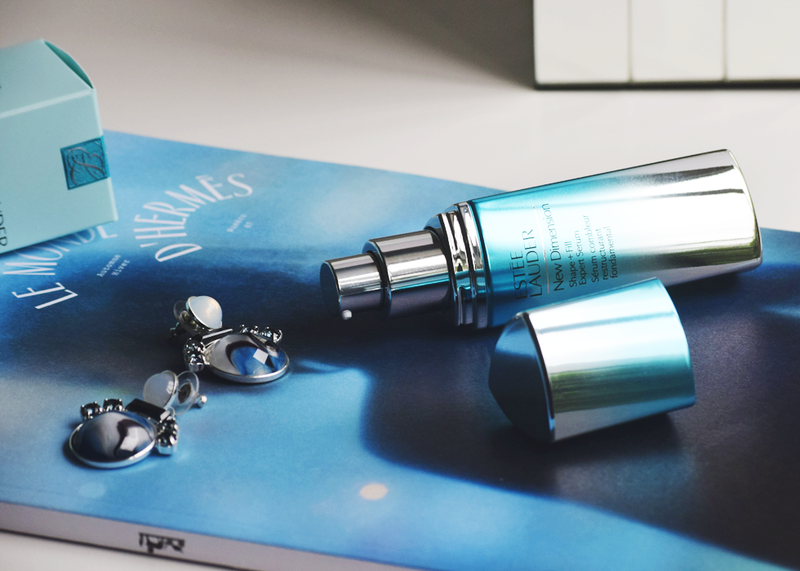 The Estée Lauder New Dimension Shape + Fill Expert Serum is designed as luxurious skincare that can (re)shape and (re)contour your face and I believe even the most skeptical customer will soon be stocking up on it. Not only did it visibly define my contours, I also notice a difference on my jawlines as they look lifted and my skin looks overall smoother and healthier. Exactly what I was looking for ;-) Yup, you can clearly hear me raving again. 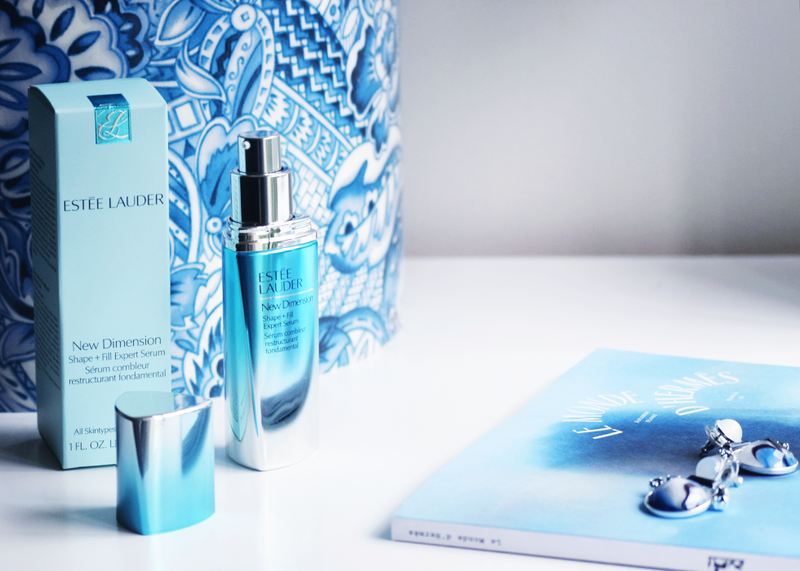 If you're looking for dramatic change in your skin, look no further! 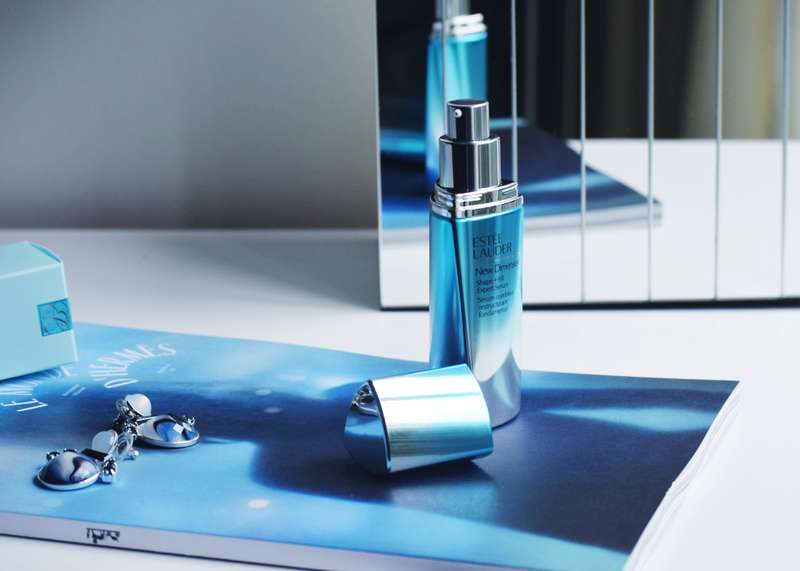 Estée Lauder has just released your newest gem.